I have written numerous articles pertaining to advertising or promoting business. For example, what works, what costs more then it’s returns. In this article I will share with you some real world facts, stats and all year long ideas that will change with the seasons and holidays. Being that the holidays are amongst us, I thought to share with you ways to recycle your advertising dollar for promoting business, as you would last year’s decorations. When promoting business you want to hit your point home quickly and memorably. That’s it! When a consumer in your field of business needs a product or service, you want them to think of your company. Unfortunately, it is not as easy as one would like it to be. This is where jingles, logos and associations come in to help when promoting business. Your business is going to be called upon a couple of ways, phone and internet. No one is going to pen you a “snail-mail letter” for your services, nor are they going to come by to ask if you cater to their needs. While your competition makes it so simple with just an email, or call away. I am going to share with you a few different ways of promoting business cost effectively. Websites are one of the least expensive ways when promoting business. However it can get expensive, especially when you are in a field with heavy competition. In a field where there a myriad of websites pushing your website ranking 10 pages down the rung. I have articles on overcoming that challenge (Here). TV spots on national/network stations are more expensive then local cable for business promotion. TV ads can get pretty ‘spendy‘! Consider spending around $18,000. for an entry level run for local cable TV middle of the night ‘off-channel.’ Here is where NetCommercial can help you with those big costs associated with T.V ads. We can shoot a commercial and format to what ever the TV station wants it in. Saving you about $5000! Then comes newspapers and magazines for business promotion, to complete the advertising hierarchy. Here’s a “part solution” for promoting business, Email Blasters (although that is becoming more and more challenging) as mail servers have anti-spam filters. Furthermore, with the fact computer viruses exist emails need to be written in short plain text only, without using attachments like pictures. Yet unfortunately most ads go to junk and are dumped. I do not know anybody who will open an attachment from someone they do not know. That leaves HTML5. HTML5 is code written to instruct your browser to open and show a flash video parked on a server. That way when someone opens your email message or webpage, browser retrieves the media you want to share with them, without the viewer having to open, or download any content. You are now seeing HTML5 on the Yahoo splash page. It’s those terrific, slick motion graphics that overtake your whole page for a few seconds while you have to wait a moment before moving forward with your browsing. HTML5 is cutting edge technology and has it’s restrictions for the time being. Yet, I am sure in a couple of years it will be the ‘staple’ of promoting business. Those examples above are the brunt of most advertising resources. There a few more advertising tactics usually reserved for trade shows, etc. The bottom line, is the “Bottom line.” If you spend $5000 dollars on advertising, I can bet you are going to want to see at least $5000 dollar’s in return. Most want to see $10,000! Those examples should show you why the internet is one of the least expensive, recyclable advertising sources a business owner can use for promoting business. 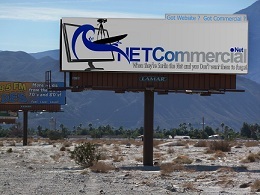 The Net is where a business owner can get a lot of mileage out of one advertisement layout. Where a business owner can park an advertisement layout on his, or her webpage and as consumer’s surf the Net for products or services, that layout is viewable. (Remember two big ways of finding your business, phone or net) The nice thing about the Net is you can track your promotions via Google Analytic’s. You can also use a couple of different ads, to interchange or use during changes of the seasons. Like the one below that played when you clicked on to this page. This one is what I use for end of year for promoting business. That flash video can be sent in an emal. It is not boring text, it’ a catchy and memorable business promotion. I simply create a landing webpage for that Flash Video ad to point at. I edit the landing page to accommodate any type of business promotion ad I am using at the time. An owner can have 4 to 5 Flash videos or website commercials that have a website page address in them that will point to a ‘landing page’. The website owner can then edit those landing pages with updated ads. And does not have to change the flash video ad itself at all. While keeping the aesthetics of their site and keeping up with the seasons, looking fresh and current. Just by changing out the videos, and editing any changes to their ads. Slick eh? I use this website commercial or flash video from the end of November through January. That is 2+ months of flair, or flash on a website. Reusable or recyclable, year after year! With Google Analytic’s as mentioned above, a website owner can see how the consumer is directed to their website. Either with a direct look-up, via a keyword search, or a referral from another website, such as Youtube, or maybe a reciprocal website who has a link to One’s site? Tracking your advertising dollar is one of the most important things a business owner needs to be aware of. When that phone rings, One should be asking;”By the way, how did you hear about us?” You better believe I do…I need to know that, as much as I want to book an appointment. The other way is the internet, using analytic’s that Google provides by embedding code into One’s website. These analytic’s are free by the way, thus far. Even when I get an email for an inquiry for a website commercial, I ask what was the keyword they had used, or what brought them to me. These are business owners who appreciate what I am doing and if asking your typical consumer they won’t give it a second thought. Is an opportunistic time for them to mention a coupon or special that had brought them in. * Tip. You should have anyone who answers the phone for your business introduce themselves and ask how they heard about you. Like this; “Hello this is John Doe, how did you hear about us?” The person on the other end will almost always tell you. The person answering the phone should have a notepad next to the phone for notes and messages anyways. Why not have that notepad have a few ‘tick-boxes‘ to populate the ways folks find your business. The same goes for a quick questionnaire at check-out in your shopping cart area. OK, so you have narrowed down what works and what doesn’t. Why not repeat it? If you got something that works why change it? The nice thing about using video for websites, or a website commercial is the fact you can track it easily. Where and when they stopped watching and how they came to you. With that being overstated. The beauty of using video, is you can address the seasons without changing the flow, or theme of your business website, inexpensively while looking fresh and current. Especially if you are a retail outlet. I could go on with examples, however I am sure you get the picture. Remember that those videos and artwork can be re-used season after season. (Like the one above, remember I need only change the Special on the Landing page the video points to at the end of the year for any particular ad.) Especially if the ads are successful and enjoyed by your consumers. Remember with video you will know how successful your campaigns are because you can see how many times a visitor came back, how long they watched. Free, from Youtube and Google Analytic’s. With door hangers, magazines, newspapers, billboards, car wraps, direct mailers and emails you will not get those statistics. You can with video. Act Now! Order your Free no obligation (quote) for your website commercial today. See what the power of video can do for you. As always, I love to hear your thoughts/opinions on these articles. To make a comment and to be not considered a Spam Bot please include the phrase ‘video for promoting business’ in your comment. Thanks for reading and don’t forget to subscribe via R.S.S feed or Bookmarking us. Hit your CNTRL and the “D” key on your keyboard to do so.